We are all interested in the future, for that is where you and I are going to spend the rest of our lives. Unless you're Prince Charles or Bob Stern. I predict . 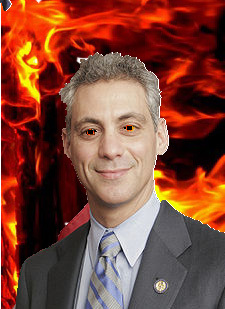 . .
Rahm Emanuel will be elected mayor and be nice to everyone for at least five minutes. Then he'll get his hands on the city's budget projections for next year and in the middle of the night send bulldozers to rip "X"'s into Richard M. Daley's Central Station townhome. Lady Gaga will call a press conference to announce she's becoming a nun and entering a convent. She will design her own habit, which will lead to her excommunication by Pope Benedict. Asian Carp will be found to have made their way not only into the Shedd Aquarium, but onto the projected constellations at the Adler Planetarium. 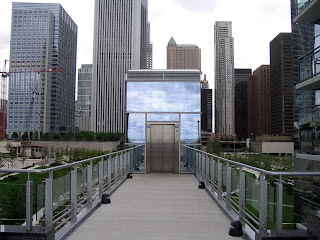 After finding that their new L cars with forward-facing benches still don't provide the economies they require, the CTA will convert all rapid transit lines to overhead conveyors belts. Commuters will place themselves in insulated body bags and hook themselves onto the conveyors to be carried to their stop, which they will stamp on their foreheads in a QR code. The Octomom, desperate to return to the spotlight, will give birth to a litter of adorable puppies. At an Apple WWDC in June at which Simon Baker is named President of Worldwide Development, Steve Jobs will unveil the iPath, a computer-on-a-chip that will be embedded directly into users' brains and deploy mental telepathy to create a global network. Jobs immediately orders the removal of USB, Wi-FI, 3G and ethernet from all Apple legacy devices. Complications ensue when the labs at Consumer Reports discover users have to hold both hands to their head at a precise 41.5 degree angle for the chip to be able to communicate. 14,000,000 people will be recalled so that their heads can be fitted with a special hat that resolves the problem. After losing most of its business to cheaper upstarts, Groupon will accept a buyout offer of $1.98 and three sheep from a farmer in Bulgaria. Unsuccessful in their attempts to obtain direct state subsidies to renovate Wrigley Field, the Ricketts family will have Michael Madigan pass legislation authorizing them to open three crack houses on Addison. Steve Bahlmer announces Microsoft will regain its former dominance with the release of Windows 7 for typewriters. Brad will order an angry Angie to "Get Help Now!" She will then adopt three children with her analyst. Jen will kidnap Brad in a failed attempt to get him to reveal how to choose better scripts. Shiloh will go to court to emancipate herself from everybody. Gigi Pritzker will announce an agreement with the city to build a movie studio in Millennium Park, but it will be OK because it will be for films for kids. After having been declared deteriorated beyond repair and overrun with squatters, Walter Jacobson will be demolished. Mergers will result in just one U.S. airline, which still won't give up its unused gates at O'Hare. Taste of Chicago will be privatized. Tickets will be $5,000. There will be only four booths, but each will offer 7-course meals from a three-star restaurant, served by indentured taxpayers dressed as butlers. 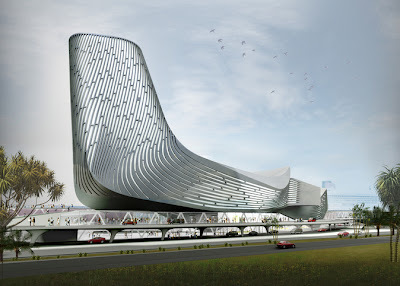 Free to all will be Da Cleaner, a 300-foot-high inverted roller coaster that will collect loose change, poorly secured jewelery and ATM PIN numbers from riders to ease the city's budget deficit. After a viral campaign on Facebook, Betty White will be named President of the United States for the month of March. Fire Department personnel will rescue an alderman stranded on an ice flow. Illinois Governor Pat Quinn will propose paying $12 billion in past-due bills with puka shells. Just before leaving office, Mayor Richard M. Daley will sign a thousand year lease with Morgan Stanley for the city's air. 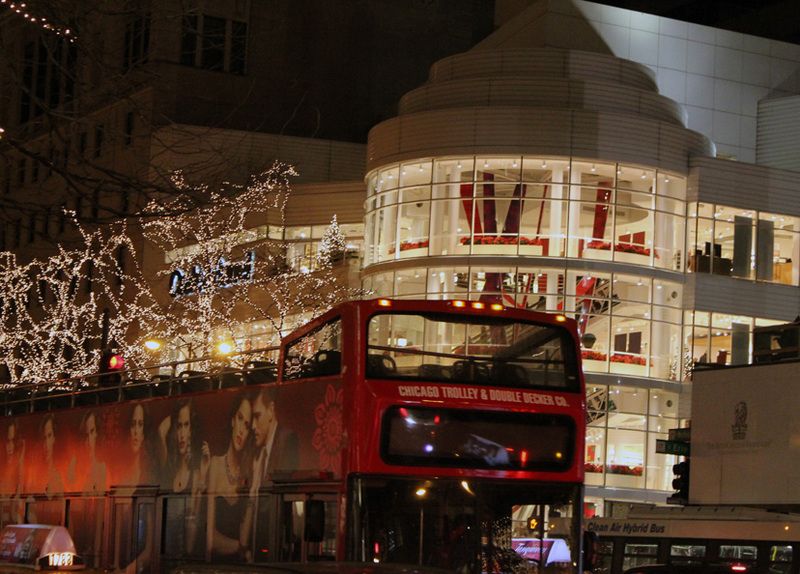 Chicago residents will thereafter be able to breath only at metered street kiosks. A band of caribou will be taken into custody and charged with a conspiracy to shoot Sarah Palin. I'll keep on writing lame posts - just like this one. Happy New Year! "Don't come, we can't handle it." - a spokesman for British Airways, after 9,000 passengers on 32 International flights were left locked in their claustrophobic metal cans on the tarmac of New York's Kennedy International Airport in New York, only yards from the terminals, for up to 12 hours. 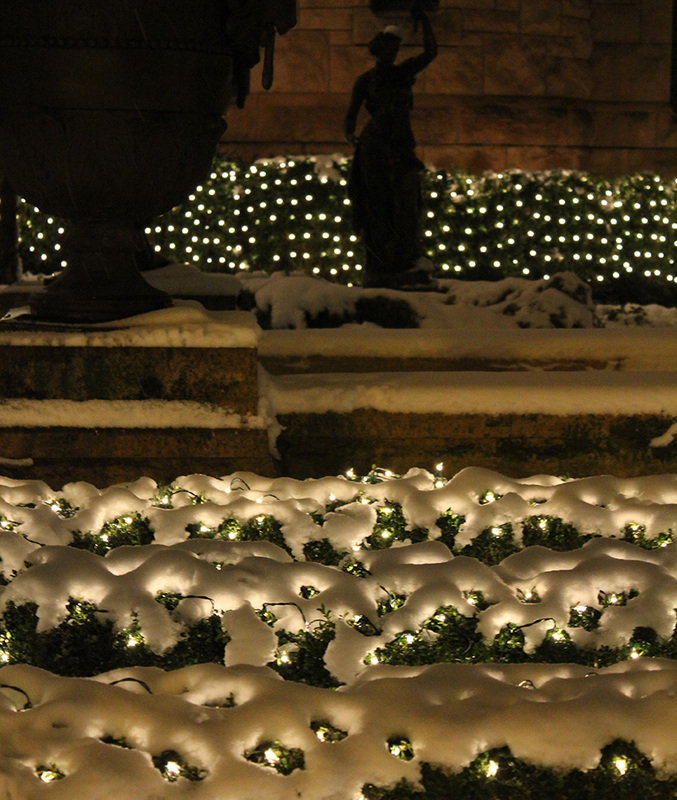 The conditions were challenging to say the least - a crippling snowstorm of massive dimension. The response? As has become the norm, a bunch of government and corporate bureaucrats pointing the finger at each other while patting themselves on the back for taking actions that did nothing to solve the problem. Our new motto for when the going gets tough: give up! Airlines have drastically cut the size of their fleets to create the kind of capacity shortages that help drive up fares. At the same time, they've slashed their customer service staffs while penalizing flyers who don't e-ticket. Between the indifference of the airlines and the genital gropings of the TSA, air travel has devolved into a Pythonesque parody of treating your customers with disdainful contempt. 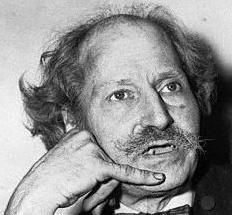 It's no small irony that the same week that a blizzard shut down the East Coast, Alfred Kahn died. Kahn was known as "the father of airline deregulation." Working for the administration of Jimmy Carter in the late 1970's, he freed the industry of the tight regulation that made flying a glamorous - and expensive - luxury experience, with fares set at a level guaranteed to pay for it all. After Kahn, an airline could fly wherever it wanted, and set fares as low as it chose. So the supply chain did its work, and air travel got cheaper. Much cheaper. Southwest Airlines $29.00 fares cheap. No longer the private preserve of the affluent, air travel was now accessible to all. Passenger loads exploded. A new paradise. Quit while you're ahead? Not a chance. To the supply chain, damned be he who cries, "Hold enough!" It's obsession is to keep cutting, past the fat, down to the muscle. 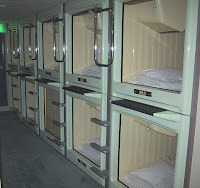 The once reliably affluent airlines spun into decades of teetering on the precipice of bankruptcy, to a current end result of less service, nickel and dimeing for transporting bags, providing pillows and life preservers, and a "deregulated" passenger experience that in previous times was more properly referred to as steerage. But, hey, it's cheap! I walked into a CVS today where the single cashier station was empty. Only several self-service counters remained. We've developed a loathing of our own species. Faithful sheep, we've bought into Big Corporate's premise that the kind of cheap prices that allow us to buy all the stuff through which we now define our being can only be ours through a devil's bargain in which we agree to be treated as interchangeable cattle and treat our fellow workers as barnacles, to be scraped off. Our identity has been reduced to a standardized series of data fields and a record of purchasing behavior. Our credentials - our papers - are our Facebook profile. No human intervention required. and when people who, only yesterday, provided us service disappear, we ask no questions. Is it any wonder, in such an environment, that Newark Mayor Corey Booker's Twitter feed surged to over a million followers as subscribers all across the nation followed his using tweets to personally respond to constituent snow removal problems and complaints, to the point of traveling through the city and helping shovel out cars. In the last two issues of The New York Review of Books, the great British historian Tony Judt, who died of ALS this past August, has written an acute appreciation of the value and devaluing of rail travel. In The Glory of the Rails, he recounts a heroic tale of how completely the development of railroads changed everything about how we lived. Unlike canals and waterways, they were the first mode of travel fabricated entirely by man. To lay the rails, they changed the landscape and re-ordered the face of cities. The entire concept of time we accept without a second thought did not exist before the railroads, which standardized time zones and made the regular consultation of clocks and watches a seminal human activity. Through their speed and reliability, they compressed time and multiplied human interaction. Unlike today's random sprawl of roads, their strict linearity aggregated and channeled energies along clear lines. Nowhere more than here. 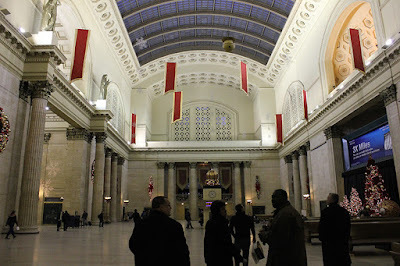 The very existence of Chicago is a product of the railroads. Lines to both east and west converged on the city, making it the nation's transfer point for both passengers and freight. The sleeping cars of the Chicago's Pullman Company transformed rail travel from a dirty, smelly, family-unfriendly ordeal to a transport that became not just comfortable, but an expression of human pleasure. 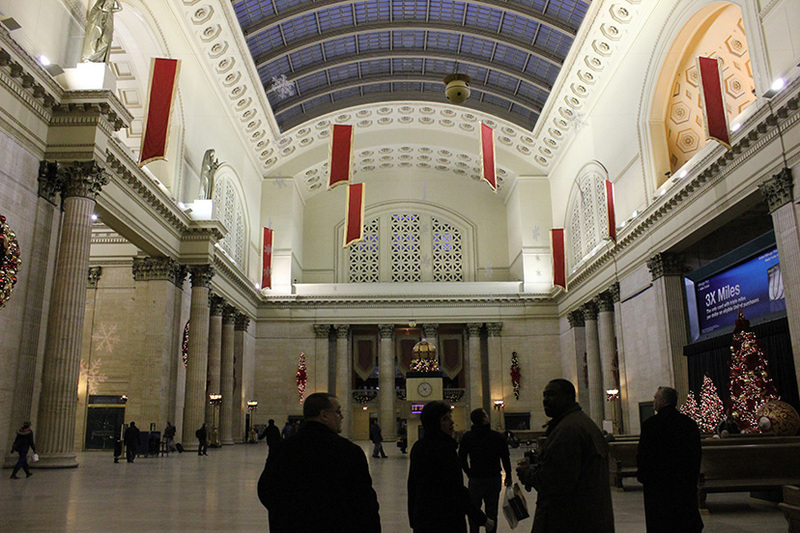 At their peak, Chicago's six major rail terminals handled hundreds of inter-city trains every day, and millions of passengers every year. The 17 lines that converged on the city formed a powerhouse industry, flush with cash, with Microsoft-level profit margins of 40%, largely paid out in dividends to stockholders. It was an optimistic era of explosive economic growth. Each of those terminals were grand civic monuments. 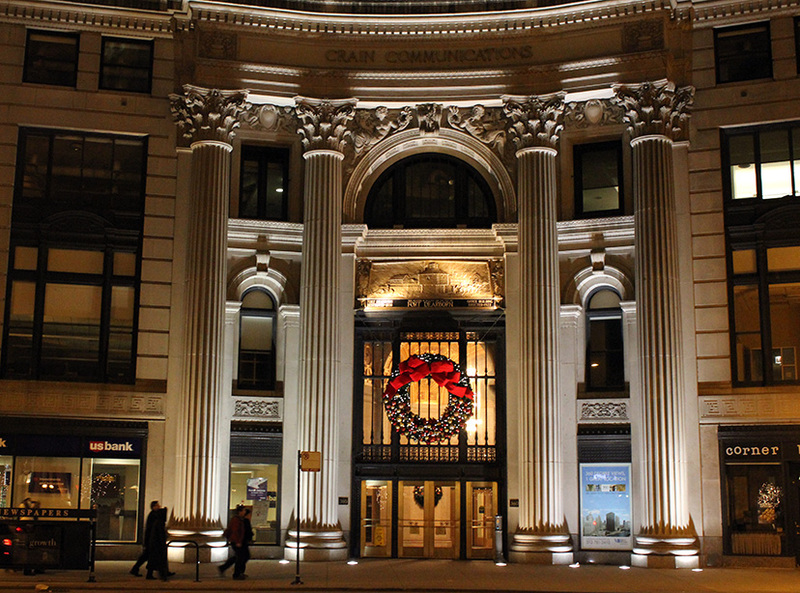 Their architecture helped define the city. With their rich appointments and often soaring interiors, they were part decompression chambers, part secular temples.
. . . a large city terminus employed well over one thousand people directly; at its peak Penn Station in New York employed three thousand people, including 355 porters or “redcaps.” The hotel built above or adjacent to the station and owned by the railway company employed hundreds more. Within its halls and under the arches supporting its tracks the railway provided copious additional commercial space. Today's airports entail a similar ecosystem, but with fewer workers, and often with lower, non-unionized wages. Today, corporate consolidations continue across all sectors of our economy. A shrinking number of corporations grow larger and more dominant, obsessed with making everything a supply chain commodity. The supreme commandment to ruthlessly drive down costs is almost always predicated on cutting employees, paying them less, and passing off more and more of the expense of operations onto customers as self-service. Jobs are destroyed and paychecks reduced with our compliance. We shop in warehouses instead of stores. We bag our own groceries. We pump our own gas. We willingly become our own phone operators, burrowing our way through time-consuming layers of automated responses and computer-simulated voices. We'll research and book our own flights on-line. We'll wait in lines for hours, as in the old Soviet Union. We'll agree to be snarled at by customer support, if they agree to talk to us at all. Because it's cheap. Recent news reports indicate that, despite often soaring profits, Corporate America has now begun to disassociate itself from the country's unemployment crisis, and now prefers to create jobs overseas. Because it's cheap. The American economy is in its Dutch auction phase. We've apparently bought into the bill of goods that an ever smaller workforce and ever lower wages will somehow produce the kind of robust purchasing power required for a healthy, growing economy, not just for the rich, but for everyone. But it doesn't, and it won't. If you don't believe me, ask Andy Grove. Along with Alfred Kahn, another death was revealed on Wednesday. Fashion model Isabelle Caro passed away November 17 at the tragically young age of 28. She had long battled anorexia, and was known for fashion shoots in which her bones were shown clearly protruding from her body. 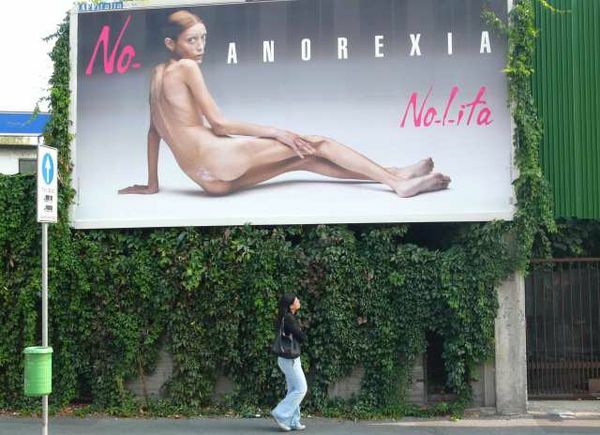 By the time she participated in a No Anorexia campaign she weighed, she told reporters, 59 pounds. Here's what consuming yourself looks like . . .
Is this our future? You can be too lean. You can be too cheap. 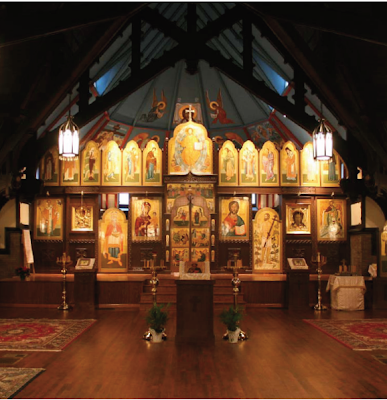 In conjunction with PBS's recent series, God in America, Chicago-based Sacred Space International, has created a City Guide to Sacred Spaces for eight American cities, from all corners of the U.S., from New York to Atlanta to Portland and Santa Fe. 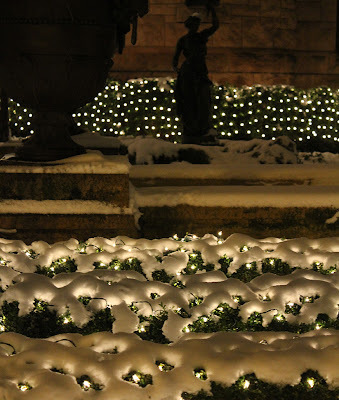 The Chicago guide includes 14 places and, like the rest, it's highly ecumenical, including not only the democratic, personified by the Chicago Cultural Center, but even the pantheistic, represented by the Alfred Caldwell Lily Pool. Each entry includes an informative essay with excellent photographs, as well as maps for locating the sites. The usual suspects are there: the Chicago Temple, Holy Name Cathedral, Fourth Presbyterian, Harry Weese's Seventeenth Church of Christ, Scientist, Frank Lloyd Wright's Unity Temple in Oak Park, and the Baha'i House of Worship in Wilmette. There are also some lesser known spaces, including the Downtown Islamic Center, making a Loop home for Chicago Muslims above a storefront in a former automobile showroom on State Street, purchased in 2004. 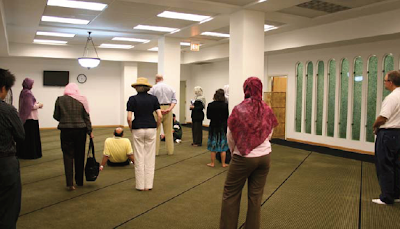 "A mosque requires nothing more than a clean, unobstructed floor space and an indication of the qibla, the direction of Mecca," which here becomes a simple space carved out of - and reflecting - the loft-like structure of a commercial building.
. . . 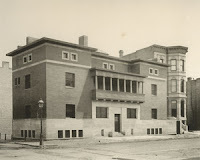 In the mid 1920’s LaSalle Street was being widened into a boulevard, and the church had to be moved back about ten feet to allow for the new right of way. 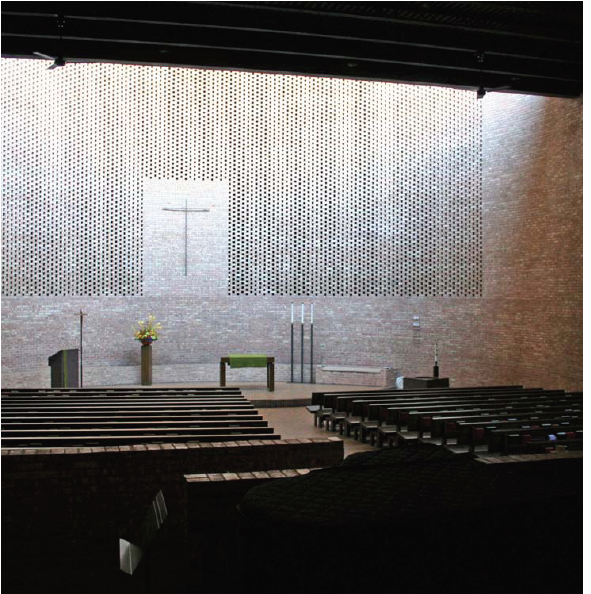 The building was picked up on giant rollers and moved eastward, while the front steps had to be redesigned and integrated into the church. In 1996, after a long period of decline, the building was donated to the Orthodox Church of America, and after extensive renovations, it was rededicated on May 17, 2008 as the Christ the Savior Orthodox Church. A high contrast can be found a few blocks to the north at St. Paul's Evangelical Lutheran Church, home to the city's oldest Lutheran Congregation, founded in 1843. In 1969, they turned to architect Edward Dart to design their new church, and the result is a strikingly modernist composition, marked by an unornamented rounded brick exterior and a spare interior with an alter bathed in light. Also included is the Moody Church, further up on LaSalle, GracePlace in Printers Row (illustrated in the photo at the top of this post), and the North Shore Congregation Israel designed in 1964 by World Trade Center architect Minoru Yamasaki. 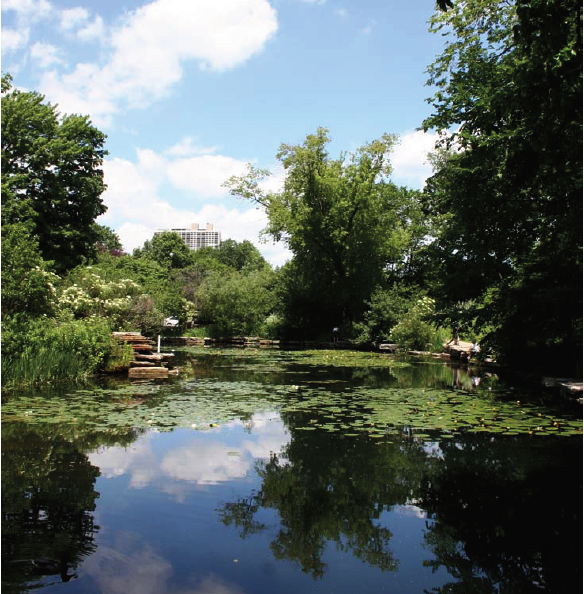 The 49-page City Guide to Sacred Spaces is both an important work of scholarship and an engaging guide to Chicago's spiritual spaces. Download it here. Nearly a decade ago, veteran Chicago author Michael Williams, looking for vintage photographs of Rogers Park, got permission from the Metropolitan Water Reclamation District to serve their archives. What he found was slightly staggering: 25,000 6 by 8 inch glass plate negatives taken by the district's photographers. As recounted by the Trib's William Mullen, the photos were taken from 1894 on during the epic project to reverse the flow of the Chicago River through the construction of the 11-mile-long Sanitary and Ship Canal, linking the river to the Des Plaines, on its way to the Mississippi. The photographs were to serve a practical purpose, creating visual documentation that would refute farmers' lawsuits claiming that the canal had made their land unproductive. 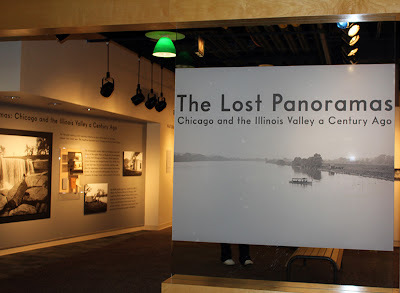 Williams, along with long-time co-author Richard Cahan, didn't get around to studying the collection in depth until fairly recently, and it was then they discovered that many of the shots had been made side-to-side, allowing them to be re-assembled into panoramas of Chicago and its farthest reaches at the turn of the 20th Century. 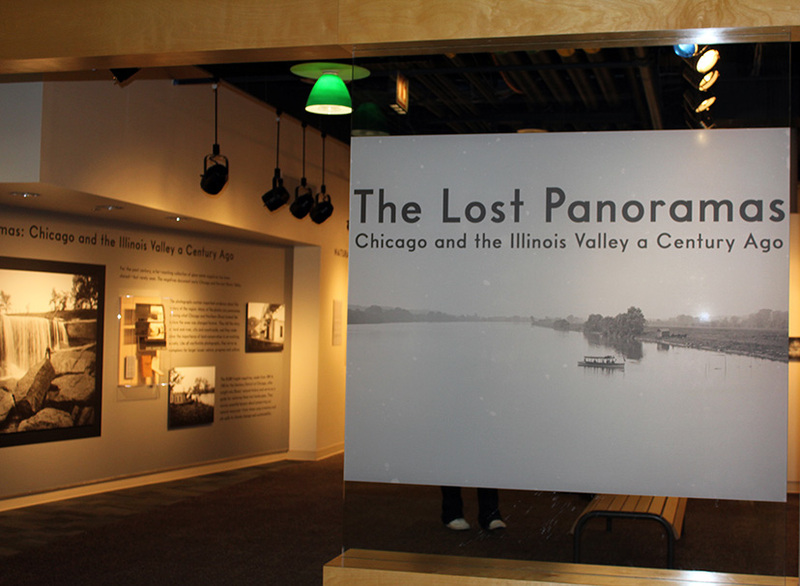 A sampling of those spectacular images make up The Lost Panoramas, a Snapshot Into Chicago's Past, an exhibition at the Peggy Notebaert Museum, which has now been extended through March 13th. Those panoramas are, indeed, spectacular, but for a chronic urbanist like myself, what's even more fascinating are the photographs of Chicago at the time of its greatest vibrancy. There are shots that remind us that us recently as the 1920's neighborhoods like Albany Park were still almost semi-rural, as well as a number of depictions of the industrial use of the waterways, including a striking shot of a riverfront lumber yard, the wood piled into tall towers, with two offset stacks reminding you of nothing less than Lucien Lagrange's unrealized twin-towered design, XO. Cahan and Williams' CityFiles Press is planning to publish a book of the Lost Panorama photographs in 2011, and you can get a preview of what they're thinking of when they offer up an exhibition gallery talk at the Notebaert, tomorrow, Wednesday, December 29th, from 11:30 a.m. to 12:30. 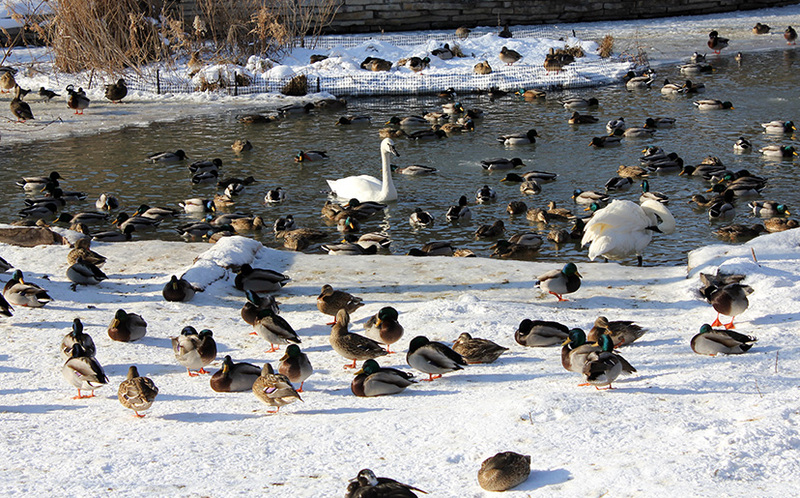 It's free with admission to the museum, which is at 2430 North Cannon Drive, in Lincoln Park, just off Fullerton. And you can check out the butterflies, too. 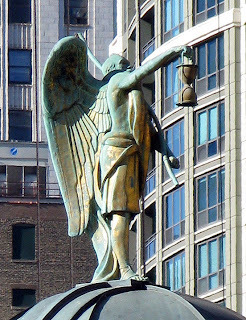 Angel of Peace and Mayor of Daley: Separated at Birth? To the left is sculptor William H. Kieffer's Angel of Peace, which can be found at the Chicago Episcopal Diocese Center and Plaza on east Huron. To the right is Mayor Richard M. Daley, who can be found, at least until next May, in Chicago's City Hall. It's a remarkable image by Chicago Sun-Times master photographer Al Podgorski that perfectly captures a moment in the life of a city and its long-time leader that expresses, all at once, relief, power, exuberance and anxiety. It's the perfect counterpoint to John J. Kim's shot of a side-glancing Rod Blagojevich leaving his trial and climbing into a limo. Altogether, there are ten eloquent and striking images in the Best Sun-Times photos of 2010. They remind us of what the blogosphere can't replicate: a professional photojournalism that combines an expert eye with being able to be at the right place at the right time. Check out the full version of Podgorski's Daley portrait and all the other CST best photos here. 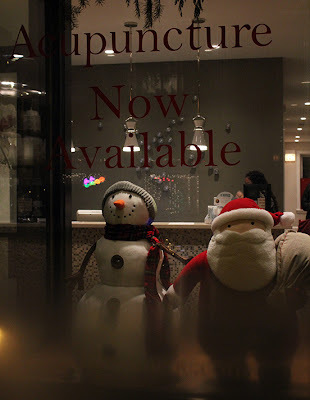 Yes, it's time for our annual photoessay on Christmas in and around central Chicago. Check out all of this year's photo's here. 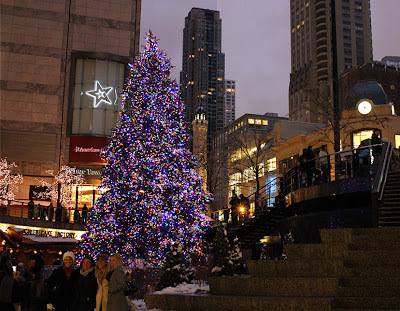 Yes, we're finally going to get around to our annual collection of holiday shots from around Chicago, mostly downtown. We hope to have a page up tomorrow linking to all of our Christmas posts from 2006 to 2009, and then on Thursday have the 2010 photo's. For now, here's a sample from the Ogilvie Station. Incidentally, the Elgin National Watch Company, manufacturers of the clock pictured above, salvaged from Cobb & Frost's 1911 Chicago and Northwestern Terminal, was another Chicago area corporate powerhouse lost long ago to the dustbin of history. 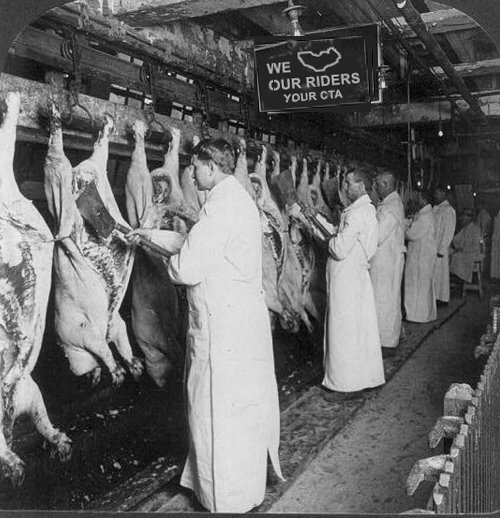 It was incorporated in 1864 and staffed largely by people lured away from an eastern competitor. 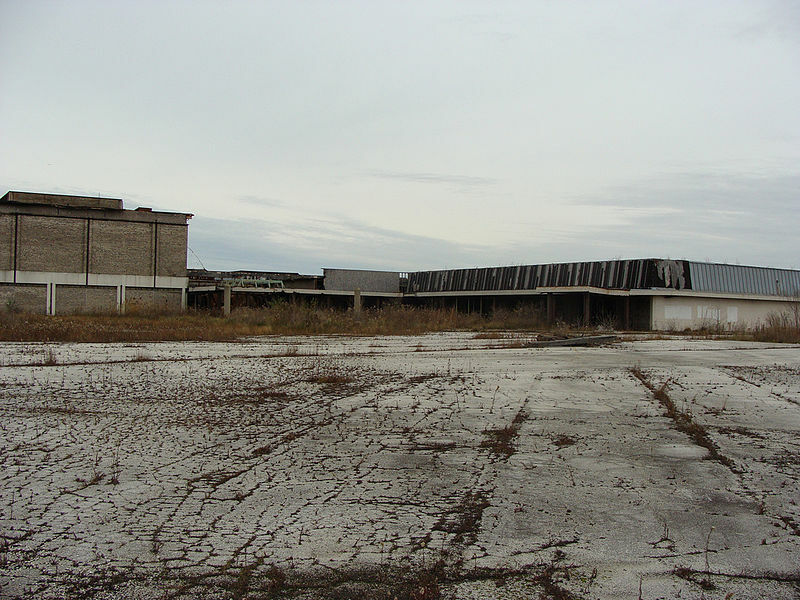 And just to show that corporate shakedowns didn't start with TIF's, the company refused to establish itself in Elgin, Illinois until the city promised them 35 acres of free land and $25,000. 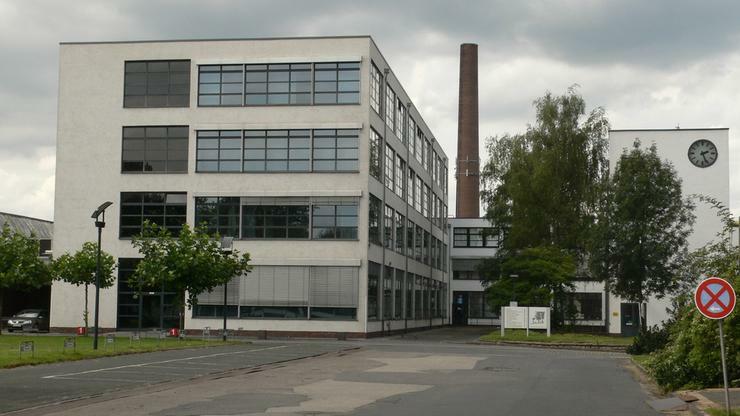 The last watch movement in what once was the world's largest watch manufacturing plant rolled off the assembly line in 1968. The half-million square-foot factory was demolished. 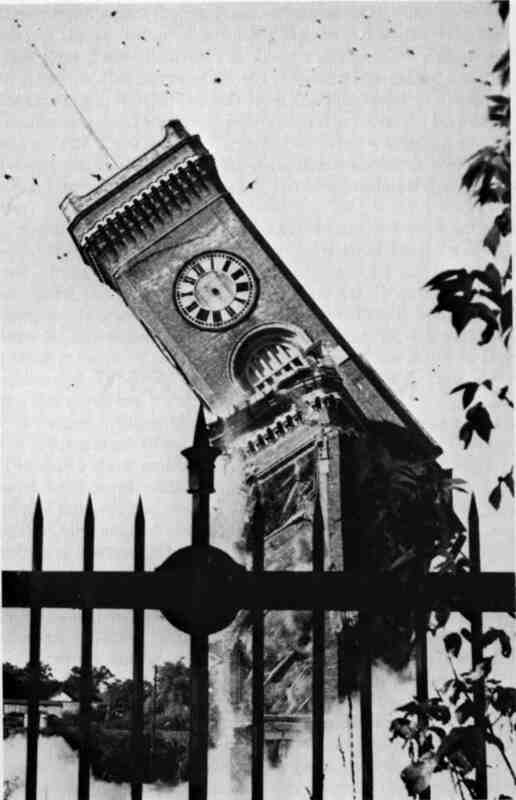 In a 1915 advertisement, Elgin promoted it's 143 foot-high clock tower, where the company . . .
maintained an observatory where two astronomers of great ability verify the rating of the Master Elgin Clocks by which all Elgin Watches are regulated. Every clear night in the year they make eleven checks of the earth's rotation against twelve stars so remote that their gigantic orbits are imperceptible. From the average of these 132 observations true star time is calculated. In turn, this is translated into commercial time. This absolute precision has given the Elgin standard of accuracy its great fame. The tower was toppled in 1966. 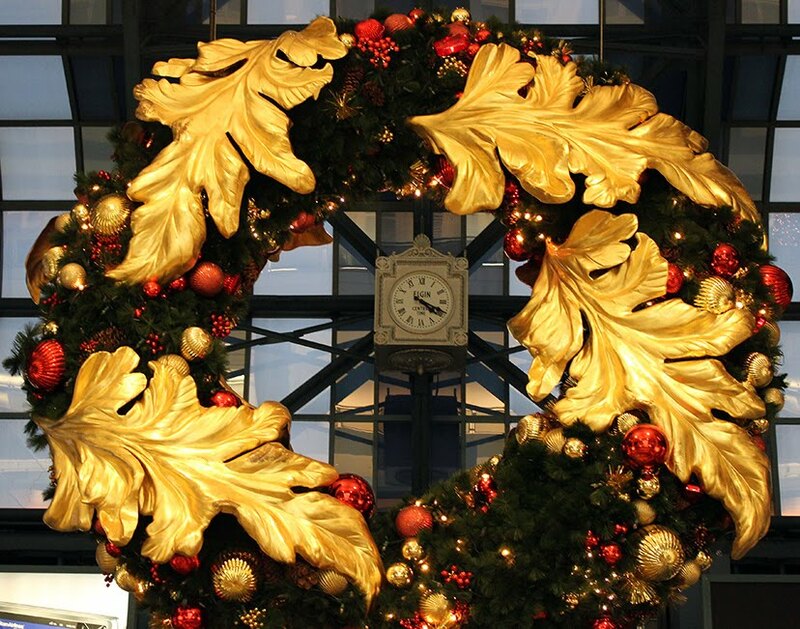 Today, it lends its name to the Clock Tower Plaza Shopping Center, just down the river from the Grand Victoria Casino. 2010 started on a deceptively strong note with January 1st. When the 2nd and 3rd followed in quick succession, analysts began to see this as a return to stability, until the disaster of January 5th, which followed the 3rd. An amber alert was issued for the 4th, which didn't show up until sometime after the 12th. By this time, the 6th and the 9th had also gone missing, only to show up after the 13th and 16th, respectively. A clear pattern was emerging, but by the time the 27th and 30th were due to reappear, it was already February, and hopes for finding them faded. The beginning of February was labeled "The Great Calming" as days again followed one another in more or less numerical order, with only a slight bleeding of alternative Tuesdays into the early hours of the next day. Then came The Great Panic of the 28th, when it was discovered the month had officially run out of days, running nearly 8% behind the yearly average for months. Congressional Republicans immediately called for an investigation, as well as for making the Bush tax cuts permanent and providing the top 2% of earners the indentured service of the first born of every family receiving unemployment benefits. "A calendar in deep deficit," said Senate Minority Leader Mitch McConnell, "is no time to be penalizing those most capable of exploiting their fellow Americans." In response, House Speaker Nancy Pelosi proposed adding thirteen weeks to July so that the chronically unemployed would at least have more warm weather. While many saw March as a return to normalcy, former Alaska Governor Sarah Palin attacked President Barack Obama for a 31st day she claimed "was made up out of thin air. In Alaska, we don't need all these days. We just make each one last forever." When April wound up having only 30 days, liberal democrats assailed Obama for selling out. 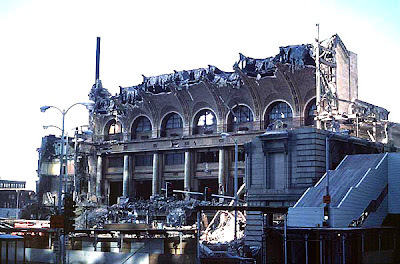 Locally, May 14th was seized by Richard M. Daley who said he would eventually make it a park, while Chicagoans arriving at the 17th found it demolished. "We had no choice," declared the Mayor. "Druid calendar addicts were squatting inside. It had deteriorated so bad it would have cost fourteen days to save it. I know that. You know that. Everyone knows that." Later, Daley sold two weeks in June for the next 300 years to a consortium headed by Morgan Stanley. City Council Finance Chairman Ed Burke said it was "a great gift to the people of Chicago", as the 19th somehow made its way into his already massive campaign fund. Panic threatened again in July as speculation ran rampant that China would not loan the month back to the United States. In the end, China's Great Giving of Rope to the Capitalists campaign saw the return of July in exchange for its weight in 52-week Treasury Bills. I don't know what happened in August. I was out of town. In September, rumblings became a groundswell as Tea Party members campaigned to "take back our calendar." Senate candidate Rand Paul called for the abolition of the Federal Bureau of Weights and Measures. "Get government out of the calendar," Paul declared, "and there will be no more premature nightfall's. No more eclipses. Give the calendar back to the enormous generating power of the Free Market and watch the days pour in." In Maryland, Christine O'Donnell decried what she called "the hidden influence of the International Date Line." Senate Republicans successfully filibustered Democratic attempts to more tightly regulate the calendar. "When the average hard-working American," said a crestfallen Senate Majority Leader Harry Reid, "doesn't know whether the weekend will be there for them, or whether it will be outsourced to some third world country willing to go cheap on the number of hours in the day, I think a stronger oversight is in order." And in the House, John Boehner cried. October saw the 23rd and 24th being taken hostage by an armed Postal worker holed up in an Encino 7-Eleven, who threatened to shred them unless the 14th starting talking to him again. The 14th told police that she and the gunman were never more than casual acquaintances, but that he had become obsessed with her after deciding to hide all of his mail from that date in his bathtub rather than have to deliver it. A SWAT team called to the scene was finally dismissed as both the 23rd and the 24th escaped their captor after he passed out from eating too many Burrito Rollers. In November, Glenn Beck held a rally at the National Mall, "We're screwed. And Here's How We're Going to Fix it." Drawing on the work of the late Belugan economist Arthur Caviar, Beck sketched out on a chalkboard how the calendar could be saved by changing the odd numbered days to even numbered days, and vice versa. And then he was distracted by a ball of string. The year, of course, still has another 11 days to go, but we may be looking at a sunnier future. So far this month, the worst thing to happen was when, again, several days were thought to be lost. Last week they were discovered in a crawl space under Rahm Emanuel's house. Optimism appears to be on the rise that 2011 will actually be the year following 2010, although leaders in Washington on both sides of the aisle are already expressing concern over rumors that China will be rolling out its own, alternative New Year, possibly as early as February. Not exactly an old, beat-up boot. More like a top-of-line Jimmy Choo. But what a foot! What tendons! Actually, this is the Reiser + Umemoto design that's just won First Prize in an international competition "for a new Port and Cruise Service Center in the city of Kaohsiung in southern Taiwan, ROC," created in collaboration with the late structural engineer Ysrael A. Seinuk. Construction is to start in 2012, with a 2014 completion date. *important note to attorneys here. The Kaohsiung project is another striking, form-shifting project. You can see more images here. 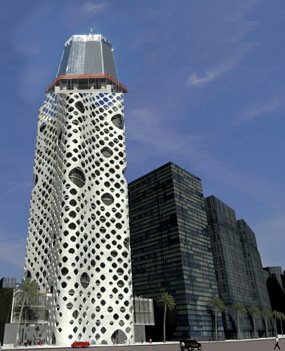 For me, what's most shocking is not the avant garde design but that the press release says they expect to build it for $85,000,000. Ah, the glories of cheap labor. A house is just a pile of stuff with a cover on it. What you buy is who you are. And the more you want to be - or at least be seen as being - the more stuff you need to have. You can't throw anything away; you can never be sure when you might need it again. George Carlin used to say we keep accumulating stuff until we finally have no choice but to change houses: we need a bigger place for all our stuff. 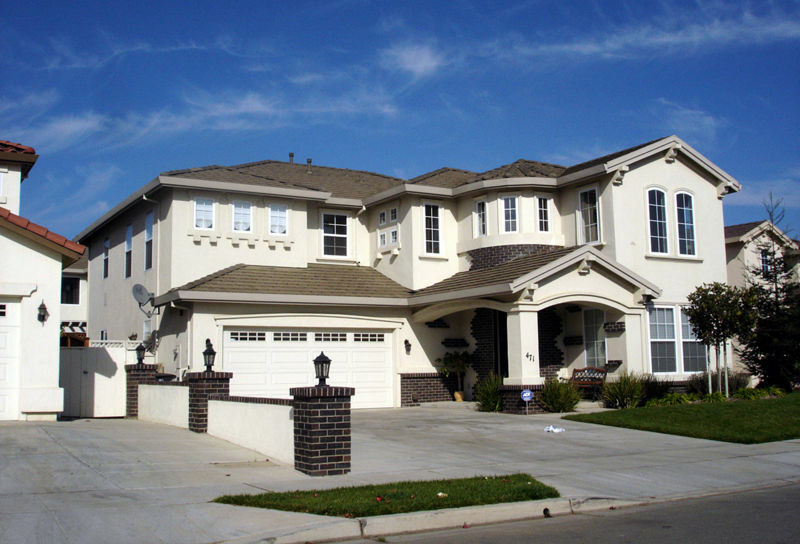 From 1,400 square feet in 1970, the average home size increased almost 70% by 2008, to 2,629 square feet. A similar trend took place commercially. 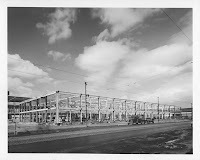 We went from Ma and Pa food stores, to supermarkets, to superstores, to food superstores within mega-retailers that have so much to sell they need a warehouse to sell it in. Shopping carts have grown to the size of a wire frame freighter. A major accompanying force in all this has been the emerging dominance of a global supply-chain economy, in which a relentless drive for lower prices and greater efficiency is dependent every step of the way on eliminating jobs, reducing wages, and increasing uniformity. The recent economic crisis has cut two ways. Macro, it's the supersize model. The focus on low prices has accelerated an increasing share of the economy falling under the control of an ever smaller handful of corporations, whose massive size makes competition from entities lacking their scale unsustainable. 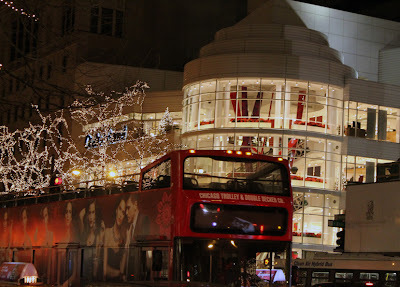 Shopping malls shrink and die. Shedding departments until they're little more than clothing outlets, department stores cede universality to the superstores, cutting their reason for being out from under their own feet. Borders and Barnes & Noble drove the independent bookseller chains out of business; now they seek a last desperate mutual embrace as Amazon pushes them toward their final annihilation. The corporate behemoths now grow by scaling down, a final mop-up of urban streets with mini-Walmarts. In our personal space, however, we're being downsized. Under pressure from the mortgage meltdown, the average home size dropped to 2,438 square feet, the first decline in three decades. In our workplaces, the reduction is even more dramatic. In the 1970's, businesses budgeted 500 to 700 square feet of space per employee. According to a L.A. Times report, it's now down to 200. One analyst predicts it will drop to just 50 square feet by 2015, as the average for cubicle workstations has declined from 64 to 49 square feet in just the past few years. Think thin. So what happens to us? More importantly, what happens to all our stuff? Technology is taking care of a large part of a problem. CD's, DVD's, bulky books and the furniture needed to store them evaporate into thin air as on-line downloads come to dominance. Even as televisions get bigger, they get thinner - just a slight bump on your wall. We're having fewer children, and the ones we have now come in easily stackable configurations. Our pets are now being bred foldable so they can easily be stored when not in use. Seriously, though, how can anyone live in a thousand square feet? Japan may be way ahead of us. 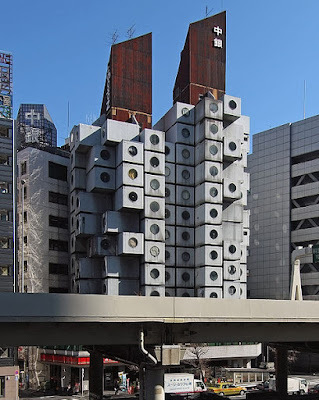 Kisho Kurokawa's 1972 Nakagin Capsule Tower in Tokyo consists of thirteen floors of prefabricated 8 x 12 modules, each with appliances, cabinets, bathroom, and bed. The city's contemporary capsule hotels take it a step further. 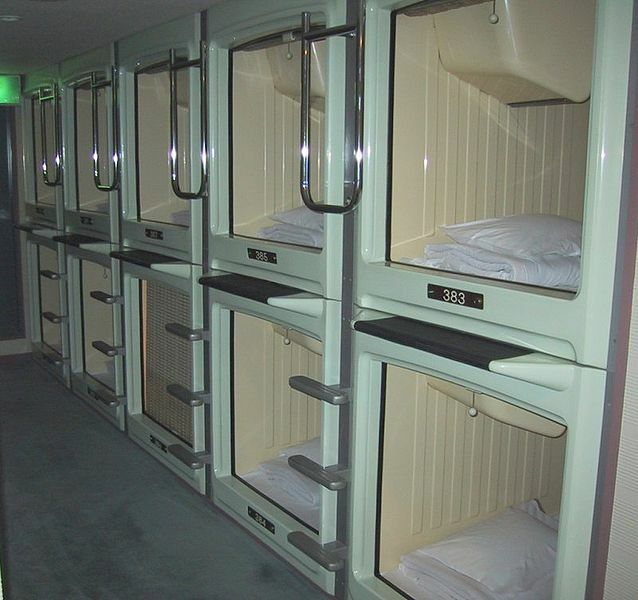 For just $30.00 a night, you get a bed, TV and radio in a stacked compartment about the size of a large dog kennel. But again we ask: where's the room for your stuff? 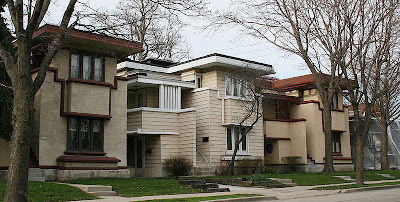 Is it possible that old scoundrel, Frank Lloyd Wright, may have gotten it right almost a century ago? Mary Louise Schumacher, who's taken over the Milwaukee Journal-Sentinel's architecture beat from the redoubtable Whitney Gould, has a a fascinating, first-rate article, Frank Lloyd Wright, big ideas for small homes, about the six Milwaukee houses that were prototypes for the American System-Built Homes, Wright's effort to create attractive affordable housing. All seven models were standardized to allow for precut lumber and reduced labor, keeping the price as low as $4,000. Schumacher relates how a small hardy band of volunteers recently purchased three of the now endangered properties in what is now called the Burnham Street Historic District. They've restored one of the bungalows and are fighting to raise the funds necessary to save the rest. 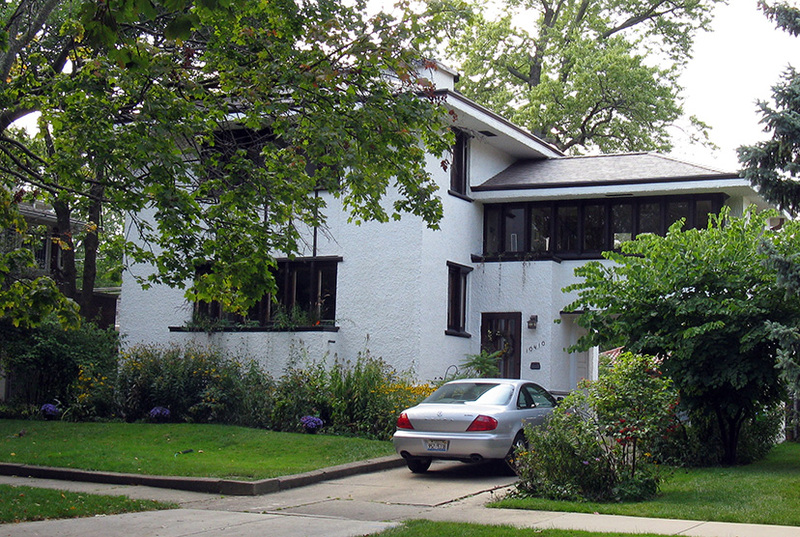 Chicago has it's own System-Built Homes, two of them, both designated landmarks - including the Guy C. Smith house, pictured above - on South Hoyne Avenue in the Beverly neighborhood. According to the AIA Guide to Chicago, they were constructed without Wright's supervision. Like their Wisconsin counterparts, they were built by Milwaukee's Richard Bros., who went so far as to hire as their copywriter novelist Sherwood Anderson, who extolled them as an architecture "as brave and direct as the country." It didn't help. According to Schumacher, only 13 System-Built homes were ever constructed. The homes are as small as 800 square feet, "A Small House with lots of room in it," according to a contemporary advertisement. 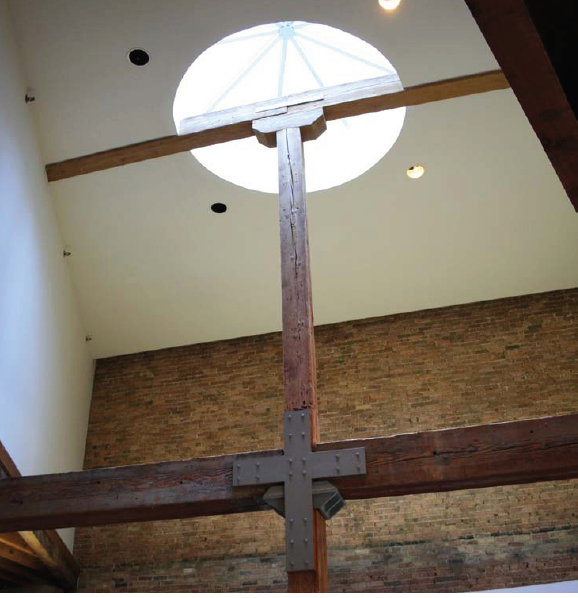 "Walking through the restored spaces today," writes Schumacher, "it lives up to that promise." 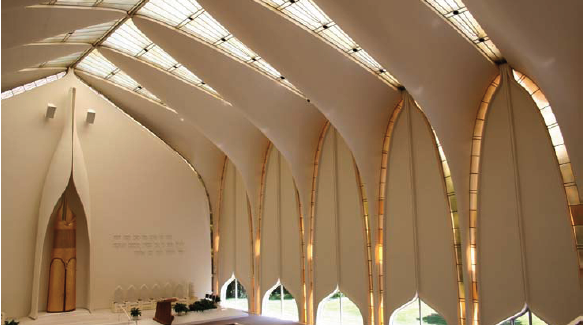 At a time when architects are increasingly focused on smaller, more sober and green building, what is sometimes called micro architecture, Wright has some things to say. Even the ventilation system, which invisibly breathes fresh air in and out, sounds an awful lot like the inventions of today’s green architects. And, like many contemporary scaled-back designs, it challenges us. A question naturally arises: Could I live here?
. . . Clutter, too, would have to go. It would mar these spaces, which some believe are inspired by Japanese design and Wright's trips to Asia. Would the shower of interior light from clerestory-like windows be worth developing more tidy habits? It seems that it should be. Schumacher's piece deftly balances scholarship, story-telling and analysis. Read it here. While it's always possible future events will veer off into some unexpected direction, the current morning line is that America is in for some tough times, which could have some sober reflection as a positive by-product. The debate on sprawl rages on, but it won't be fully resolved until the final bill comes due. Most of suburbia is still coasting on the original build-out of infrastructure. We're still waiting for the reckoning when that hyper-extended network of roads, sewers and other utilities needs to be replaced. We may be seeing a glimpse of the future, however, in a recent Wall Street Journal report on how miles of asphalt-paved highway are reverting to gravel and dirt as cash-starved local governments are forced to cut expenses. Cities have the benefit not only of density, but astringency. As anyone who's shopped for a condo or rental apartment in newer buildings has found, market conditions keep the average square footage way below even that 2,400 square-foot stand-alone average. Nor is this new. A one bedroom in Marina City, minus the expansive balconies, is 650 square feet. Somehow that's enough room, however untidy, for all my stuff, but then it's just me and two cats, and they've already got a Self-Storage locker filled up with old spit-covered toys and various detritus from their previous lives. For normal people and complete families, could we ever even contemplate life in Wright's 800 square feet? Or will we all eventually wind up like the Collyer Brothers, our actuarial most-likely mortal end: being crushed in a cave-in of 130 or so tons of our stuff. In an increasingly virtual world, the Graham Foundation is taking on a contrarian tack with the opening this Thursday, December 16th from 5:00 to 8:00 p.m., of a new "mini-bookstore" in the library of its Madlener House home. Featured is the catalog for the Graham's excellent current exhibition, Las Vegas Studio: Images from the Archives of Robert Venturi and Denise Scott Brown, edited by Hilar Stadler and Martino Stierli. Among the other titles available is a new collection of ten essays by Denise Scott Brown, Having Words. You can RSVP for the opening reception here. Elsewhere, author Gayle Soucek will be at Borders in Evanston this Saturday the 18th at 6:00 p.m. to sign copies of her two recent books. Marshall Field's: The Store That Helped Build Chicago takes the legendary store from it's beginnings before the Civil War through its 2006 conversion into the local outpost of Macy's. That event does not appear to be among those covered in her other book, Chicago Calamities: Disaster In The Windy City, but its does include the 1954 seiche that sent 10 foot waves over Montrose Beach, the 1903 Iroquois Theater fire, Randy Michaels, and other dolorous happenings. This is a good opportunity to pick up the Fields book for a holiday gift, especially since Amazon is currently listing it as out of stock. Speaking of gift-giving, you can also support the Institute of Classical Architecture & Classical America by sending them a percentage of all sales from purchases made through this special link to Amazon.Com. 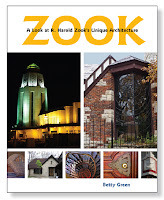 And a reminder about another new book by Chicago photographer and CAF docent, Zook: A Look at R. Harold Zook's Unique Architecture, whose career included co-design of Park Ridge's Pickwick Theatre and over forty homes throughout the Chicago suburbs in the 20's, 30's, and 40's. 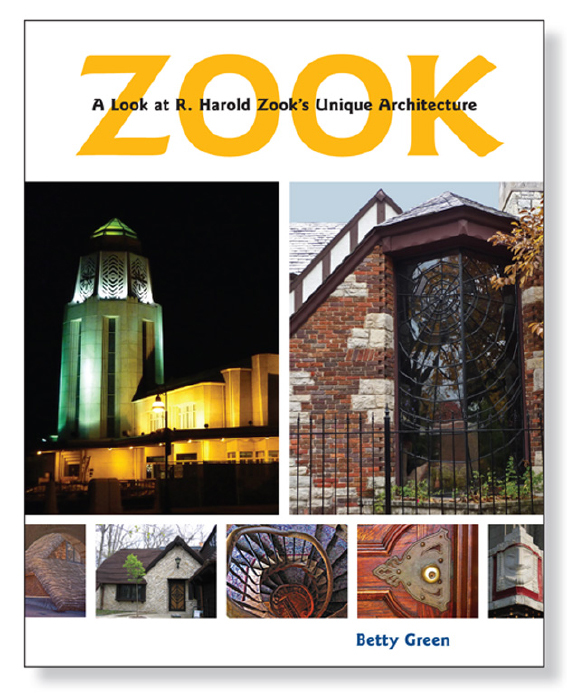 Turning full circle back to our iOS world, the Society for Architectural Historians, which makes its home in the 1891 Louis Sullivan/Frank Lloyd Wright Charnley-Persky House, is enlisting your help in winning a contest where the prize is the free development of an iPhone app for the winner. SAH says you can vote once a day through January 28th. Do your part to uphold Chicago's reputation: vote early and often here. Students of Archeworks, Chicago's alternative design school, will be discussing the current status of two research projects tonight, Tuesday, December 14th, including the Mobile Food Collective, and Washington Park Grows, a collaboration with the Chicago Botanic Garden and Rehabilitation Instittute to create a therapeutic garden in Washington Park. It begins at 6:00 at Archeworks, 625 N. Kingsbury at Ontario. The event is free, but space is limited. RSVP and info here. 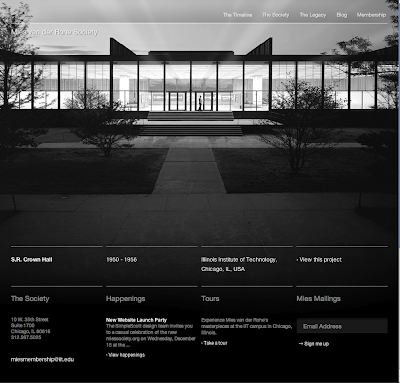 The Mies van der Rohe society has just launched a new website, designed by Scott Thomas, whose credits include serving as 2008 design director for Obama for America. 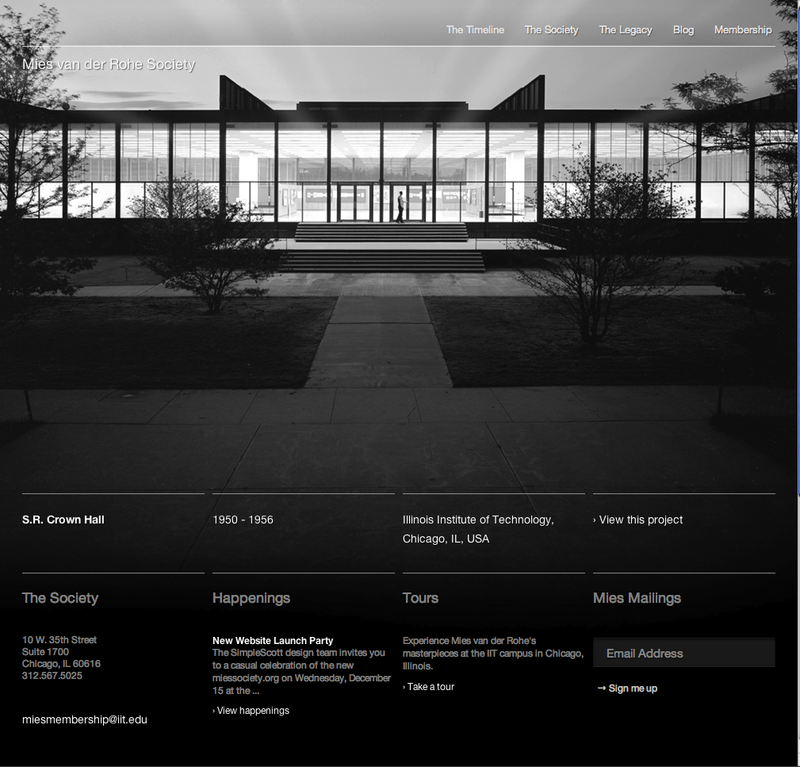 It's an impressive piece of work, and a major addition to Mies on the web. 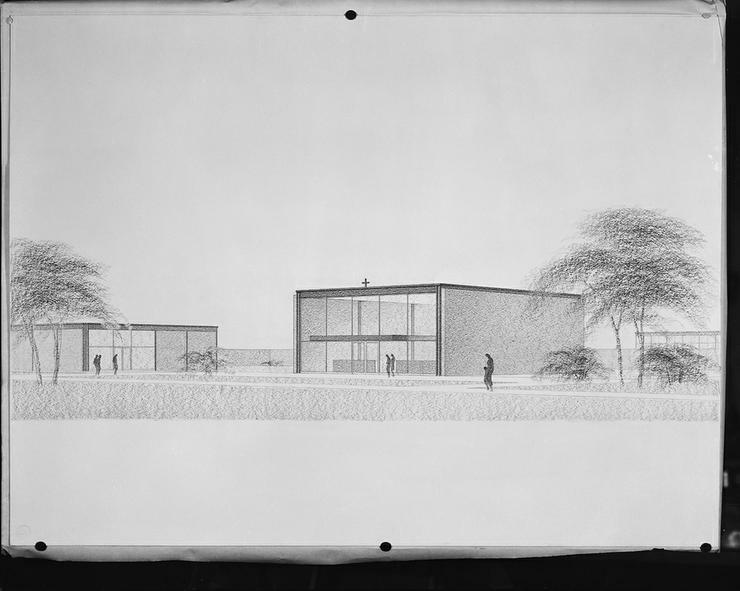 It's centered on a timeline of Mies' life and work, from his 1886 birth in Aachen, Germany; his years as an infant removing unnecessary parts from his high chair, and a comprehensive account of designs, from the 1907 Riehl House, his first project, to the legendary 1921 proposal for an all-glass Friedrichstrasse Office Building, the path-breaking 860-880 Lake Shore Apartments (many photographs), all the way through to the posthumous IBM Building. 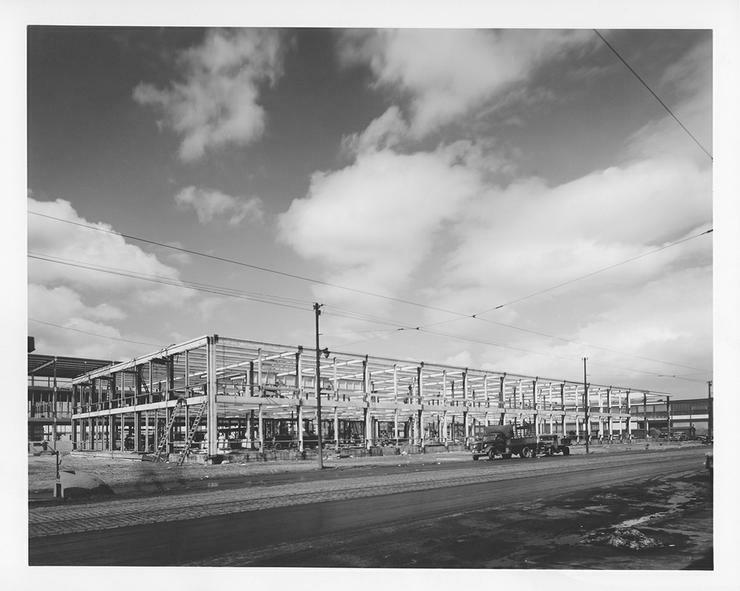 Although the entry page is the usual black-and-white, there's also a generous sampling of color photographs that provide a less abstracted, more real feel of what the buildings are actually like. 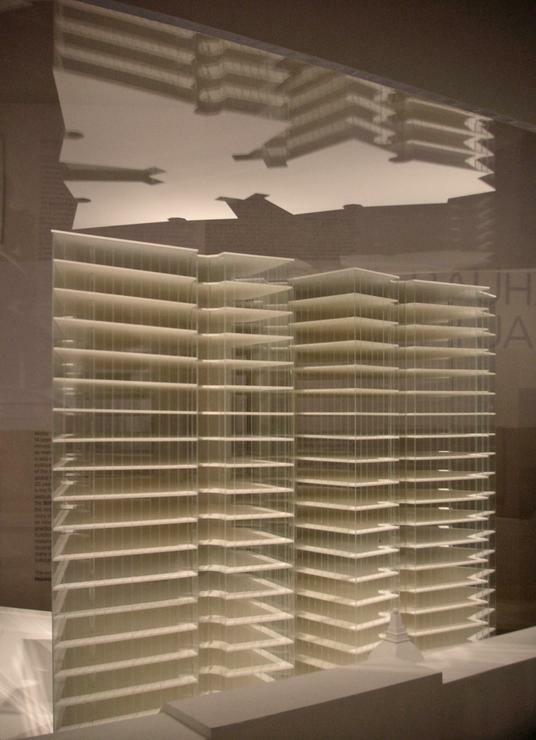 There's also a generous sampling of of models, as well as of Mies' own drawings. There's also a related blog, which features such interesting stuff as this poster for a benefit from earlier this year. 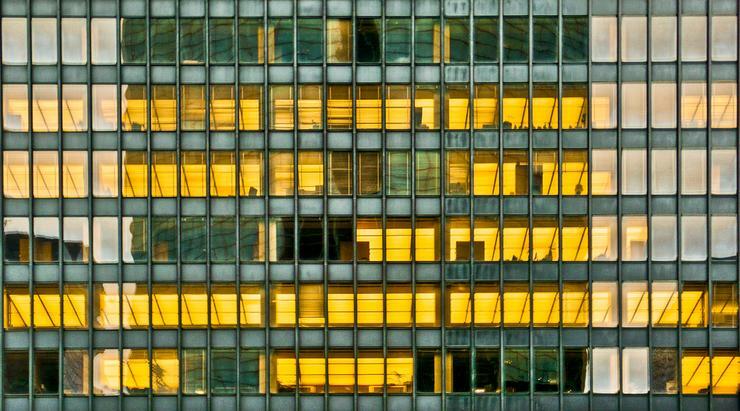 In addition to the 1958 Seagram Building being listed among the projects, there's also a link in the blog to a fascinating 1968 documentary created and narrated by urbanist William H. Whyte, The Social Life of Small Urban Spaces, centered on an intensive study of why the Seagram's plaza is one of the most popular in New York. whyte styles from chris woebken on Vimeo. The website is both an impressive work of scholarship and a valuable research tool. 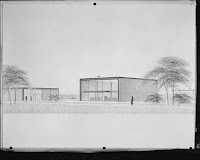 Perhaps most striking, however, even beyond the buildings, is the full text of various speeches made by Mies, including what he had to say at a 1938 banquet welcoming him to Chicago, after Frank Lloyd Wright introduced him by saying "I give you my Mies van der Rohe. You treat him well and love him as I do," and then left the room and retreated to the bar. Any education must be directed, first of all, towards the practical side of life. But if one may speak of real education, then it must go farther and reach the personal sphere and lead to a molding of the human being. The first aim should be to qualify the person to maintain himself in everyday life. It is to equip him with the necessary knowledge and ability for this purpose. The second aim is directed towards a formation of the personality. It should qualify him to make the right use of his knowledge and ability. Genuine education is aimed not only towards specific ends but also towards an appreciation of values. Our aims are bound up with the special structure of our epoch. Values, on the contrary, are anchored in the spiritual destination of mankind. The ends, towards which we strive, determine the character of our civilization, while the values we set determine our cultural level.
. . . If education has any sense whatever, then it is to form character and develop insight. It must lead us out of the irresponsibility of opinion, into the responsibility of insight, judgment, and understanding; it must lead us out of the realm of chance and arbitrariness into the clear light of intellectual order. Therefore we guide our students over the disciplinary road from material through function to form.
. . . 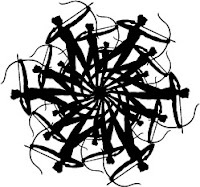 Here the problem of technology will come within the student’s compass. We will try to propound genuine questions: questions on the value and meaning of technology. We will demonstrate that it not only offers us power, and magnitude, but that it also embraces dangers, that it contains good and evil, and that here mankind must decide aright. 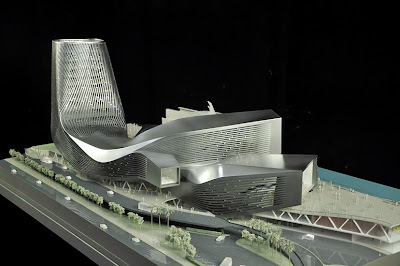 . . We will make the organic principle of order clear as a scale for establishing the significance and proportion of the parts and their relation to the whole. We will adopt this last principle as the basis of our work. The long road from the material through function to form has only one goal: to create order out of the unholy confusion of today. We want, however, an order which gives everything its proper place. 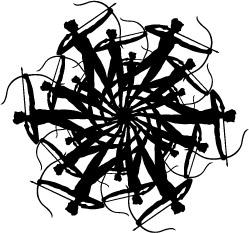 We want to give to everything that which is its due, in accordance with its nature. We are determined to do that in such a perfect way, that the world of our creation begins to flower from within. We want no more – nor can we do more. "Beauty is the Radiance of the Truth." 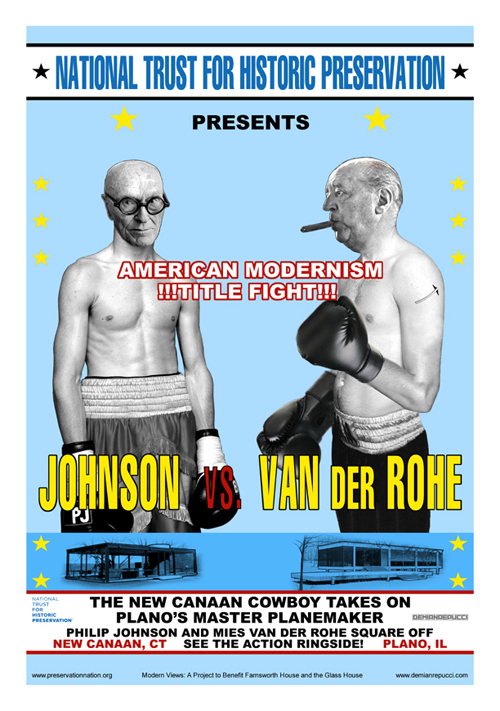 You can read the entire speech here, and visit the Mies van der Rohe Society website here.